To personalise this print, for an extra £5, you can include your own message to be added to the bottom. 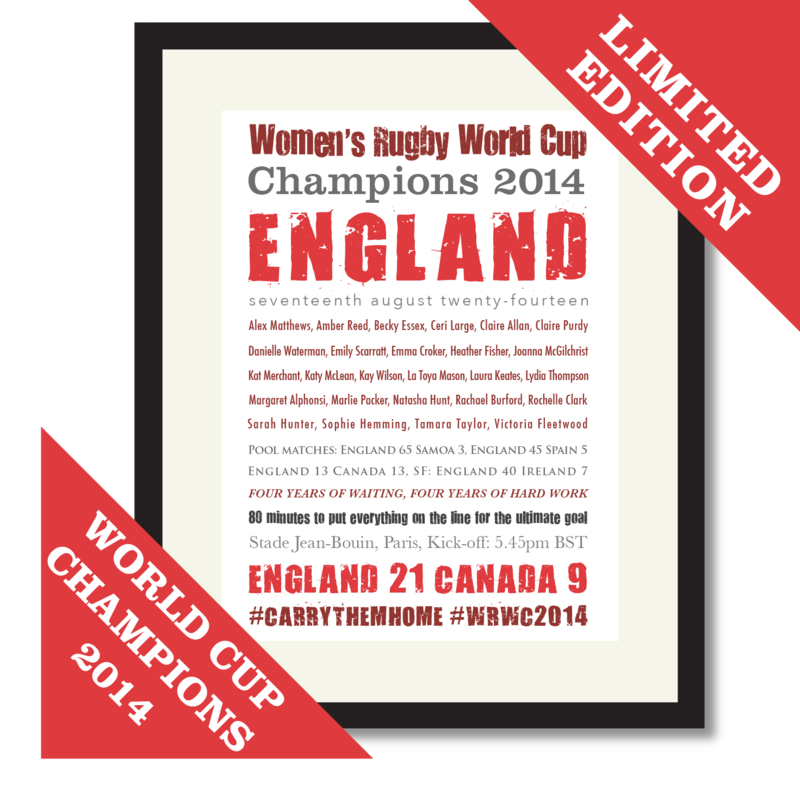 England are the Women’s Rugby World Cup 2014 Champions. If you would like to add your own personalised message for an extra £5, simply insert your words in the Personalise your print section or contact us.